Divorce celebrity style: All the cool kids are doing it. By Gara Hoke Lacy for Divorced Moms. In our celebrity-driven universe, the VIPS of the celeb set have become the arbiters of what makes the 24-hour news cycle. For example, the latest -Hollywood break-ups of Ben and Jennifer or, Miranda and Blake or, Gwen and Gavin. Even the big news outlets are reporting the collapse of these VIP marriages. Ben and Jennifer. Image via Getty. Whether it is the $100 million divorce, baby mama drama or the John and Kate Plus 8 saga, all have found headlines on the pages of countless tabloids and entertainment programs. Why? Because it’s big business, big money, big scandal. But a very un-Hollywood-like trend has taken place in the ranks of the celebrity divorce. No more he said/she said, headline-grabbing divorces, but instead, the idea of the child-centred, cooperative lifestyle has gained momentum. Rather than rearranging the kids’ lives to accommodate the adult decision to separate, the focus becomes on maintaining the stability of the kids to lessen the dramatic changes and psychological impact of the breakup. Some scenarios include continuing to share a home, to be geographically nearby one another, to keep new partners out of the mix, to vacation together or to mediate instead of litigate. 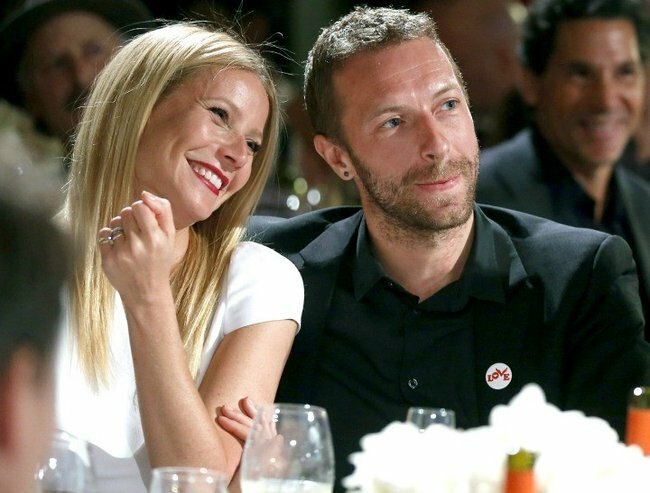 In March 2014, actress Gwyneth Paltrow and musician Chris Martin announced their “conscious uncoupling” on Paltrow’s lifestyle website Goop after a decade of marriage. That specific terminology sprang up front and centre throughout the country, causing psychologists, marriage counsellors and commoners alike to discern, discuss and decipher what conscious uncoupling would look like. Celebrities are focusing on their children rather than themselves when undergoing divorces. While the term itself was not new, having been coined years before by a relationship expert and her filmmaker friend, it did receive an unexpected boost in public exposure when promoted by this star couple. It turns out that this free-spirited approach to uncoupling looked like what has become referred to as the collaborative divorce. Paltrow and Martin share homes across the street from one another, enjoy holidays together with their children and make a concerted effort to tone down the divorce drama expected of a Hollywood “it” couple. Perhaps the gold-standard of amicable divorce is that of superstars Bruce Willis and Demi Moore who shared three daughters and 11 years of marriage. Not only did this modern family vacation together, Willis and Moore bought homes in the same New York apartment building and attended each other’s subsequent weddings. Their combined efforts to raise their children has solicited praise from relationship experts who resoundingly support their path of respect and mutual forbearance. Most recently, actors and humanitarian couple Ben Affleck and Jennifer Garner announced their divorce after 10 years of marriage. (Is the seven-year itch now 10?) All signs point to a child-centred separation with the two sharing different homes on their multimillion-dollar California estate, giving their kids access to both parents without the usual divorce drop off/pick up angst. Courtney Cox and David Arquette. Image via Getty. This type of arrangement resembles the nesting approach to divorce, wherein parents take turns in the family home to provide continuity for the children. Tabloids have printed daily pictures of these two still wearing their wedding rings since their divorce announcement. It has been suggested that this act is for the sake of making the transition easier for their three young children. What these couples have in common is not the catchy divorce terminology splashed across tabloids and social media. It is the commitment to see that their children feel loved and well cared for. No matter the size of the bank account or the living arrangement, the most powerful takeaway from these celeb couples is the move towards courteous and respectful separations geared towards thwarting the age-old stereotypes of greedy and vengeful estrangements. Fortunately, it looks like these star couples have left those to the big screen. Let that be the new headline. This post originally appeared on DivorcedMoms.com.